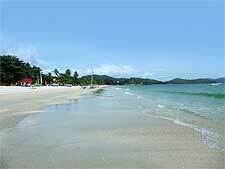 A beautiful archipelago of many islands, Langkawi has changed hands on numerous occasions during its recent turbulent history, all the while preserving the natural beauty for which it is known today. As Britain began to slowly carve up Malaya for itself from the end of the 18th century, Langkawi managed to escape control from London, instead falling prey to another power much closer to home. Thailand's influence on Langkawi, still seen in the large number of Thai eateries and other cultural references, began in 1821 when the King of Siam invaded the islands. 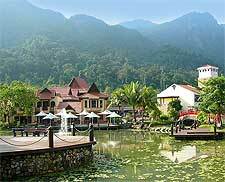 Their reign in Kampung Raja, as the ancient capital of Langkawi was known, proved short-lived though. The headman of the area, Datuk Kerma Jaya, flushed out the Siamese after poisoning the wells and burning down the local granary, thus these islands soon came back under the control of the Sultan of Kedah. Burned rice from this era can still be seen in a sectioned-off area at Padang Matsirat. Although Langkawi escaped the first wave of colonialism in Malaya, when the Sultan of Kedah decided to lease nearby Penang to Britain's East India Company, by the turn of the 20th century, it was effectively part of the empire. British advisors were stationed here as London slowly exerted its control. During World War II, Siam again took control briefly when Britain's empire in the East fell to Japanese invasion. After the war, the British retook control of the Malaya states for two decades, leading to independence of the Malaya Federation. Langkawi's hidden coves and forested interior, along with its position on the edge of the British sphere of influence in Malaya, made it a haven for pirates after World War II. The sleepy feel of the islands, still evident today, meant that there was little resistance to the illegal activities at this time. Visitors can get a feel for one of the most famous routes used by pirates and smugglers of the day at the stunning Pirate Lagoon, a secret cave that connects the sea to a hidden inland lagoon. With Malaysia's newly won independence, the colonial history of Langkawi was confined to the past. 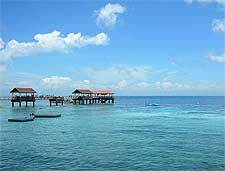 However, it remained a sleepy corner of the country for decades until the mid-1980s, when the then Prime Minister Mahathir Mohamad decided to develop the islands. 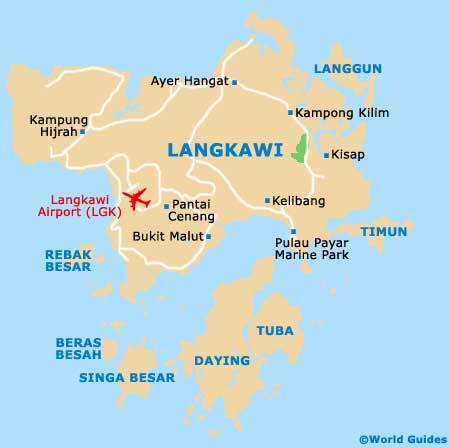 Langkawi was made a tax haven, putting its beautiful beaches and stunning natural scenery on the map as tourist numbers soared, with major construction work soon following. 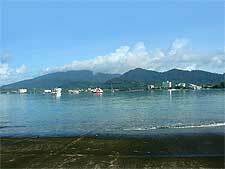 In 2008, the islands' beauty was commemorated in the title 'Langkawi, Jewel of Kedah' to celebrate the golden jubilee of Sultan Abdul Halim Mu'adzam Shah.